Chatham, a town located on Cape Cod, holds a special place in my heart, as it was here that my family would spend their summer vacations when I was growing up. So, when Chatham Bars Inn invited me for a stay, I couldn’t say yes fast enough! I was thrilled to be heading back to familiar territory, but this time as an adult who would appreciate all that Chatham had to offer (and not just the candy store, which still happens to be there, FYI). My stay at Chatham Bars Inn was so heavenly I almost feel like nothing I say will do it justice. From the moment we set foot on the property right until the very moment we left, the care, service and attention to detail provided was above and beyond. They’ve literally thought of every.single.thing. And while a property can be stunning, it’s the details that truly make your stay one to remember. Read on for some of the highlights from my own stay…. The property itself is extensive, boasting everything from a main building to private cottages to a spa to restaurants and everything in between, all primely situated right along the idyllic Cape Cod coast in Chatham. The variety of accommodations available is vast (literally there is something to meet everyone’s needs), but I was incredibly lucky enough to stay in one of the spa suites. This room is the epitome of luxury, pampering and relaxation. 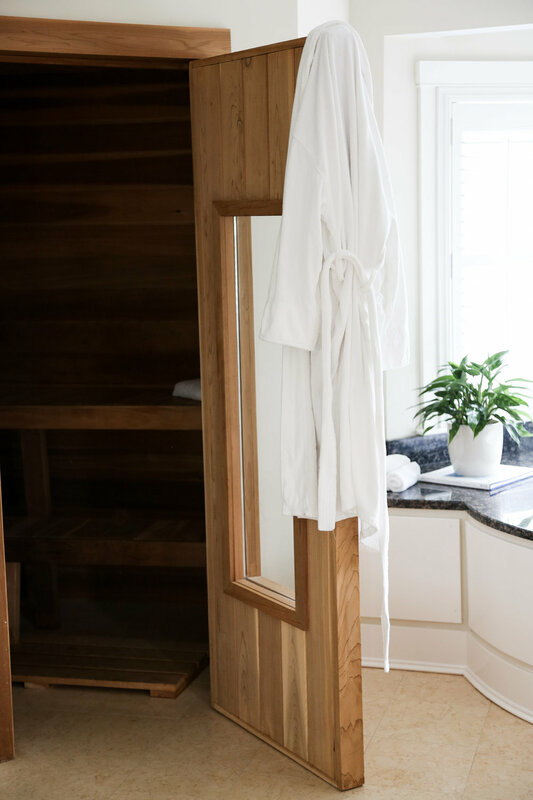 Spacious, calming, inviting, and get this, it even has a fireplace, a sauna, a steam shower, a hydrotherapy tub and a massage bed, just in case you want to embrace the spa experience fully with an in-room massage. Are you freaking out about that? Because I was freaking about it! Of course, the daily delivery of afternoon snacks and evening desserts didn’t hurt, either! I mean, I could have spent my entire stay right in that room and been as happy as a clam because it was just that incredible. The inn itself boasts several options for dining. From The Sacred Cod (think upscale tavern) to The Veranda (think light bites while enjoying the ocean view) to The Beach House (think to local, relaxed coastal inspired foods) to STARS (think beautiful fine dining), there’s something for everyone and every need. We were incredibly fortunate to arrive just in time for the kick-off evening of James Beard award winning Chef Jody Adam’s summer pop-up at STARS. With a menu based on local cuisine and seafood, heavily influenced by the produce from Chatham Bars Inn’s own farm and Chef Adam’s expertise in Mediterranean cuisines, trust me when I say, this incredibly fresh, flavorful and inspiring pop-up from one insanely talented woman is something that you do not want to miss. STARS also happened to be the spot for breakfast (everything from the avo toast to the decadent lobster crepes were so good, but my favorite was the hash). We grabbed a light lunch of salads and lobster rolls one afternoon at The Beach House and it was such a perfect chill spot, I could have sat there all afternoon. The beachside location, delicious frozé and peaceful blue and white striped decor (of my dreams) didn’t hurt either. We popped into the The Sacred Cod for drinks on two separate evenings (the whiskey cocktail I had was so good, I order it both times, which is saying a lot because I don’t usually order the same thing twice and I definitely don’t drink lots of whiskey). Outside of the inn, there are plenty of great restaurants and seafood spots right in Chatham, scattered throughout the Cape and even all the way out in Provincetown. A few of my favorites included The Snowy Owl for coffee and The Canteen for lobster rolls and brussel sprouts (Just get them, trust me!). While you can certainly spend your time relaxing throughout the property, there are also no shortage of things to do. 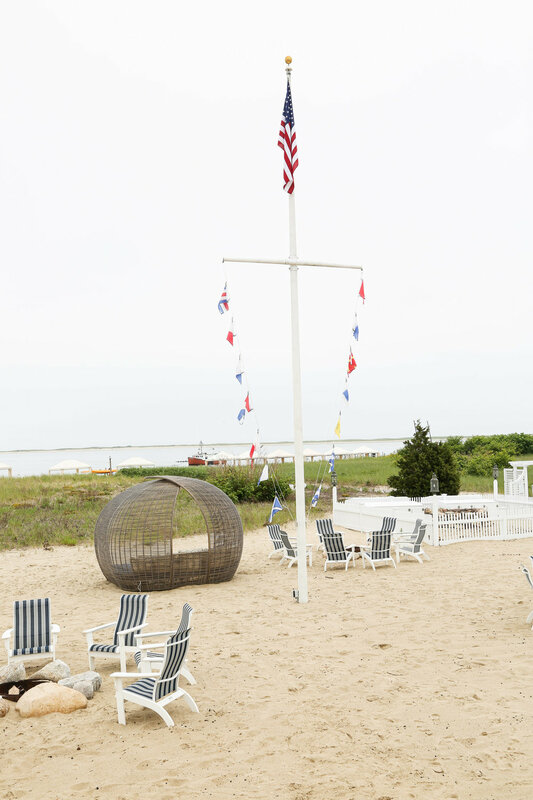 Everything from the spa to the beach, tennis to croquet to golf, whale watching to exploring the coast by boat, bike riding to touring the Chatham Bars Inn’s private farm, and even the ability to head out and explore on your own thanks to the Inn’s partnership with Lexus. Whatever it is you choose to do, the concierge is incredibly helpful in going above and beyond to customize your experience so that you can enjoy the Cape the way you want to. A cabana massage at the Spa // The incredibly serene and peaceful spa offers a wide range of services and even has an adults-only pool area, should you simply want a quiet place to relax. The private cabana massage was wonderful. My masseuse made sure I was comfortable and relaxed the entire time, and the sounds of birds chirping and the breeze blowing through the trees in the background made for a truly zen experience. Relaxing by the fire // As you enter the main building, one of the first rooms you’ll see, on the left, is a great room with a beautiful fireplace at the center of it all. With plenty of seating areas, tables to play games and even a library room from which to grab a book, it’s a perfect spot to relax. Touring the property’s farm // It’s no secret that I come from a family who values plants and gardening, so of course I loved getting a tour of the Inn’s own farm. It’s an absolutely beautiful 8 acre spot managed by Joshua Schiff, a super knowledgeable and very dedicated farmer. It was such a treat getting to see and learn about the source of the very produce we were consuming in our meals during our stay at CBI. Hanging out on the beach // Not only is it relaxing, but you’ll also get to see the Chatham Bay fishing boats coming in and out, and more than likely, you’ll get to see quite a few seals. Private cabanas are also available here. 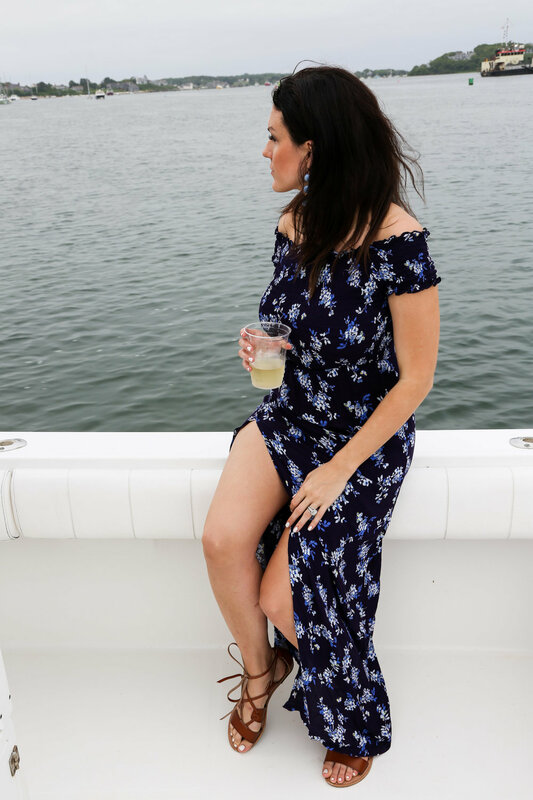 A boat tour // We were treated to a boat ride and oyster experience with a local oyster company. Not only was it fun, but it was also incredibly informative (so many things I never knew about oysters). The Inn has many different boating options available, including whale watching, sailing and even day trips to Nantucket. I highly recommend coordinating at least one during your stay, as it is not only a fun activity but also a great way to see a different perspective of the Cape. Exploring Chatham and beyond // I’m not the type that likes to stay in one spot for long, so I appreciate all the ways that Chatham Bars Inn makes it possible for you to get out and explore. The Chatham lighthouse is just up the road, close enough to walk or bike to (thanks to one of the Inn’s bikes). The center of Chatham is a quick ride away, thanks to the Lexus drop-off and pick-up service provided by the hotel. And, as I mentioned above, the hotel’s Lexus partnership even makes it possible for you to drive further out on the Cape so you can check out places like Provincetown. Thank you to Chatham Bars Inn for the incredible stay and hospitality that I will not soon be forgetting.